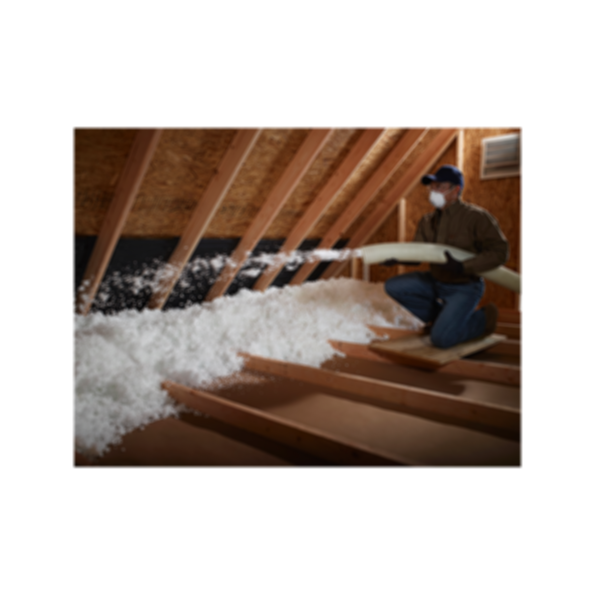 Johns Manville Climate Pro® blow-in fiber glass insulation custom fits hard-to-reach cavities and corners, making installation easier and faster. JM Climate Pro offers greater consistency of coverage and low dust, resulting in more efficient and comfortable installations. It offers R-values from R-11 to R-70, and to save time during installation, one bag of Climate Pro provides 73 square feet of R-30 coverage. JM Climate Pro is ideal for professionals using large, truck-mounted, high-volume, production blowing wool machines. We also recommend this method for blowing in our Blow-In-Blanket System® (BIBS) to fill walls, ceilings and irregular spaces.